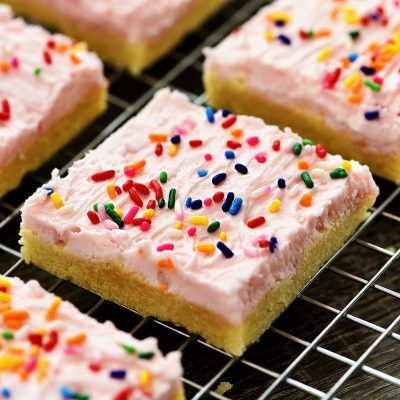 These Sugar Cookie Bars are soft, thick and ever so delicious. The flavor is exceptional and the frosting makes them top notch. 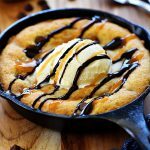 No one will be able to resist these amazing cookie bars! I adore a soft, frosted homemade sugar cookie! 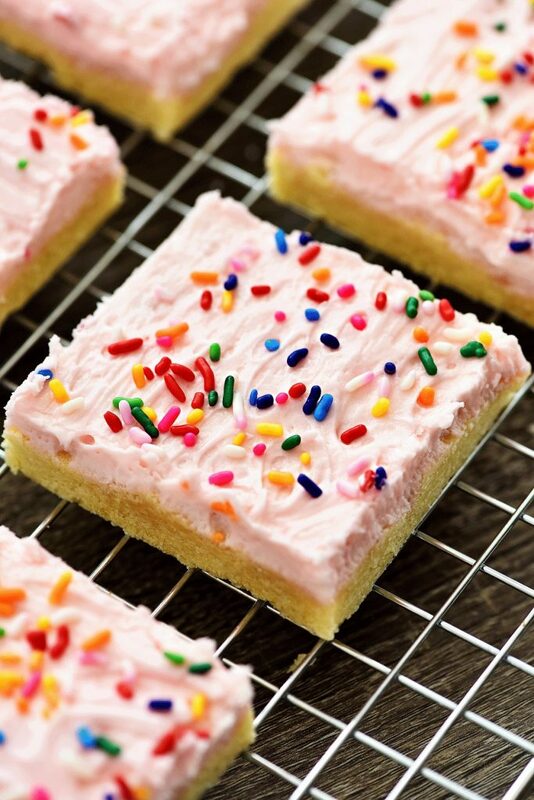 ♥ They are famous on Valentines Day, and since it’s right around the corner I thought I’d share this outstanding recipe for Sugar Cookie Bars! 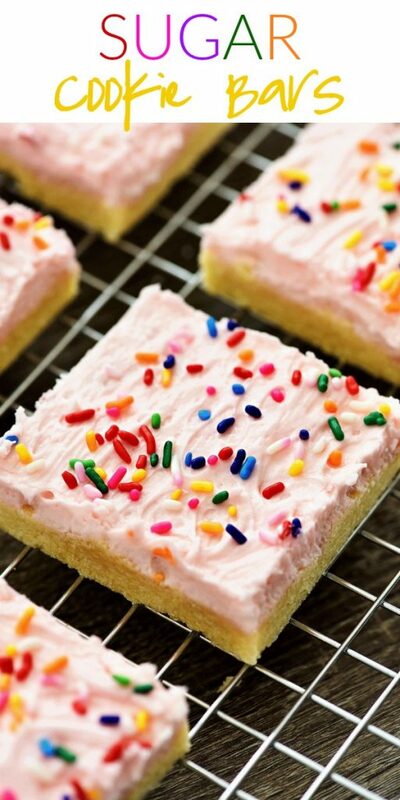 Sugar Cookie Bars are perfect to make for a crowd, baby shower, birthday party or for any holiday. Just tint the frosting and change up the sprinkles according to the holiday or celebration! I must warn you though, these always go quickly! 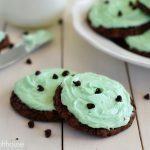 If you are baking them for a large crowd then I suggest making a few batches of these. No one can resist these amazing bars. In a large bowl or stand mixer, cream together the butter and sugar until light and fluffy, about 2 minutes. Add the egg and combine well. Add the sour cream and vanilla and beat until combined. Slowly add the flour mixture until combined. 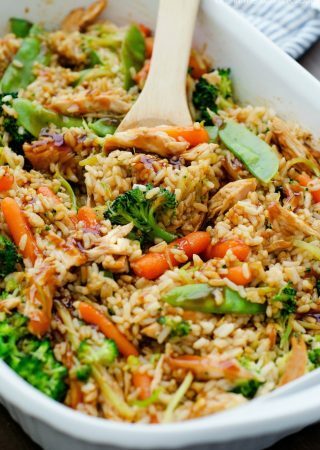 Bake for 17-20 minutes only! Or just until edges become slightly golden. Remove from oven and let cool completely before frosting. Frosting: In a medium bowl, beat together the butter, 2 cups of powdered sugar and milk until combined. Slowly add in the remaining two cups of powdered sugar until combined. Then add the vanilla and salt. Drop several drops of desired color of food dye into the frosting and beat until creamy and desired color. Do NOT overbake! Seriously, it’s a crime to overbake any sugar cookie and the same rings true in sugar cookie bars. It may seem like the 17 minute baking time is not enough, but I promise you it is. Take them out of the oven and let them rest and cool. You’ll be glad you did! Using room temperature butter is always key in resulting in a good, puffy cookie. I’ve noticed in the past that when I would microwave my butter to get it soft it resulted in a more thin and crispy cookie. That kind of cookie is not my style. I love them puffy and chewy. 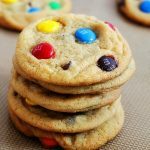 Measuring flour correctly is also very important when it comes to cookies. If you over-flour you’ll get dry cookies. Under-flour will get you cookies that won’t rise correctly. I use the dip and sweep method when I measure flour. I scoop (or dip) the dry measuring cup into the flour then sweep off the excess on top. It works every time for me. You can google videos to show you exactly what I mean. Lining your pan in foil or parchment paper will help you remove the cookie bars easier after they’re baked, so you can cut and frost clean-shaped bars. I recommend using full-fat ingredients. Using “light” or “fat-free” ingredients will alter the flavor and texture of these cookie bars. Feel free to change the vanilla flavor extract with almond extract. 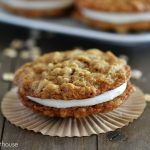 It adds a new essence to these cookies that is delicious! I am currently making them the dough seems extremely dry! The dough should be the consistency of regular sugar cookies.. Maybe you used too much flour?? Hope they turned out! Just made these! Can’t wait to try them after dinner..does the frosting harden/set with time? Should the be refrigerated? Thanks! These will also be made on my day off from my temple work!! 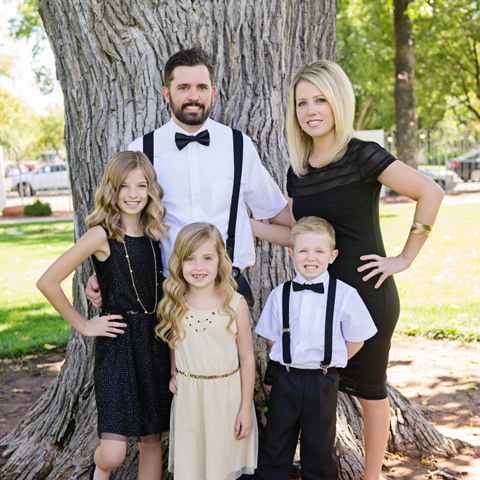 So glad I found your blog — you are awesome! 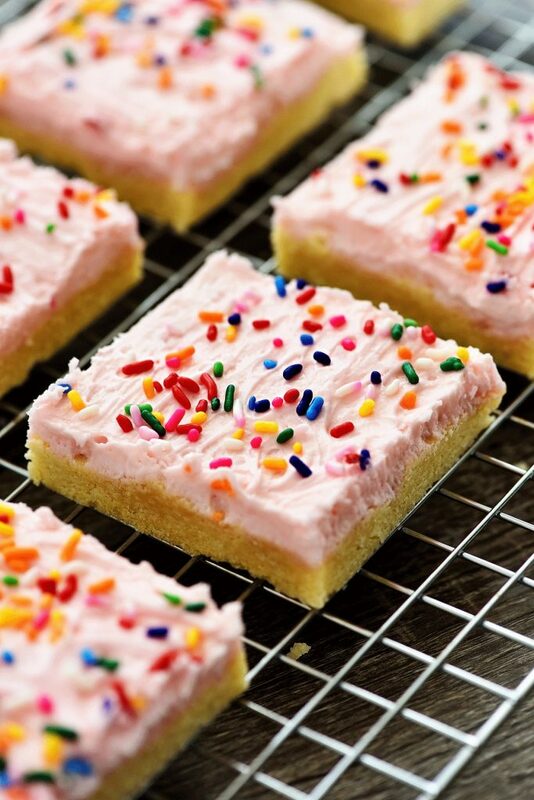 Wow, people, you have got the make these sugar cookie bars. Holly, they are amazing. We have a friend who makes some pretty good sugar cookies and I asked for the recipe. 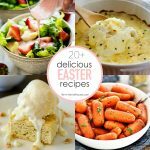 Those I served these too said to not bother getting her recipe. Yours is a keeper and I won’t be using anyone else’s! Thanks for the great recipe. Just wondering if you cut the cookies before or after baking? I am trying these today! Hope they are as delicious as they look! 1/2 tsp vanilla and a 1/2 tsp almond extract. The whole family loved them. 🙂 thanks for the recipe. These are very good bar cookies. Instead of frosting them I melted some chocolate chips in a sandwich bag and cut a tiny hole in the corner of the bag and zig zagged melted chocolate over the bars. Thanks for the recipe. I just made these cookies and I think there was too much flour in this recipe. However, I did use light butter and cream cheese in place of the sour cream. They turned out a little dry and tasting like too much flour. Tama, I think flour in recipes can be a tricky thing. I don’t know how you measure your flour, but maybe you put too much in? I’ve made these twice now and they turned out great both times. Made the bars last night and frosted them this morning. Absolutely delicious! Can’t get much easier than this!! !